You can add yourself to a course, community or assessment group in Digication if the course settings allow for self-enrollment. This process enrolls the user as a student. A faculty member in the course will need to change that role to faculty if the user should have faculty access rights. 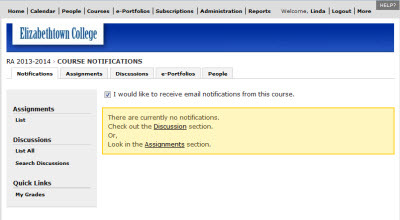 Step 3: On your home page, under the "My Courses" module, click Find. 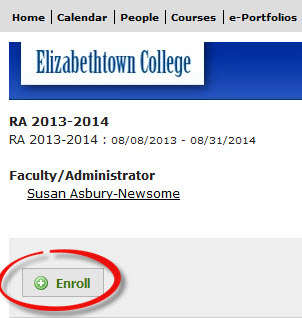 Step 4: Search for or browse the list of self-enroll courses in the list to find the name of the course you need. Step 5: Click View next to the course name. Step 7: Click the Home link in the upper left-hand side of the screen to return to the homepage to view the list of courses you are now enrolled in.